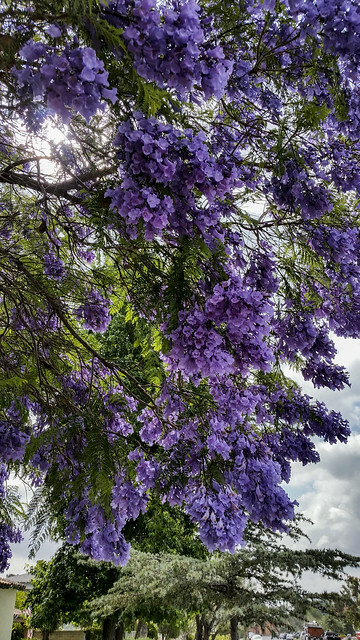 Downey has these beautiful trees called Jacarandas that bloom with amazing lavender-colored flowers. While they make excellent shade trees, their real appeal comes from their fragrant trumpet-shaped blossoms. For a couple of months a year, they look like an explosion of purple. 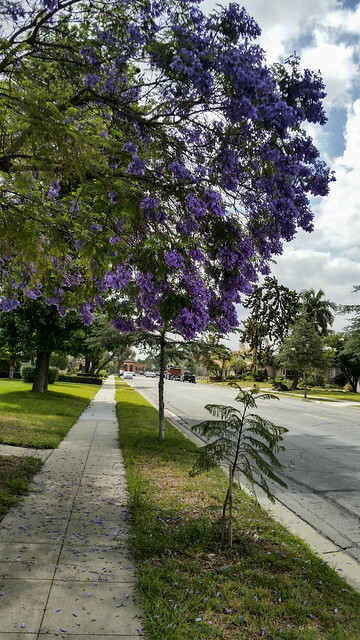 Some of my favorite streets in Downey are lined with these trees. In reading about the trees, I found that they are not native to California, but were planted in the late 1890s by a horticulturist in Balboa Park (San Diego), and since have spread all over the state. Like keys of some great instrument."